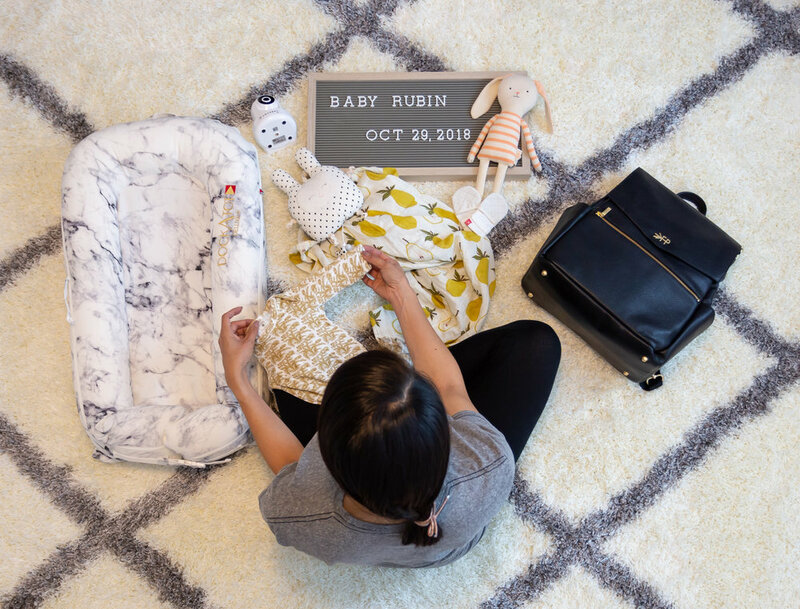 Over the past few months, we’ve received lots of recommendations and done a ton of research on products we want/need for Baby Rubin’s arrival. I’ve been introduced to new brands by my mommy friends (IRL and online) as well as products I didn’t even know existed! This has been quite a learning experience for Dan and me. With that, I have rounded up a few of my favorite items that we have been gifted, purchased or plan on buying. I totally understand that not all babies are the same. What may work for one may not for another - but I hope this list is fun and helpful for you! 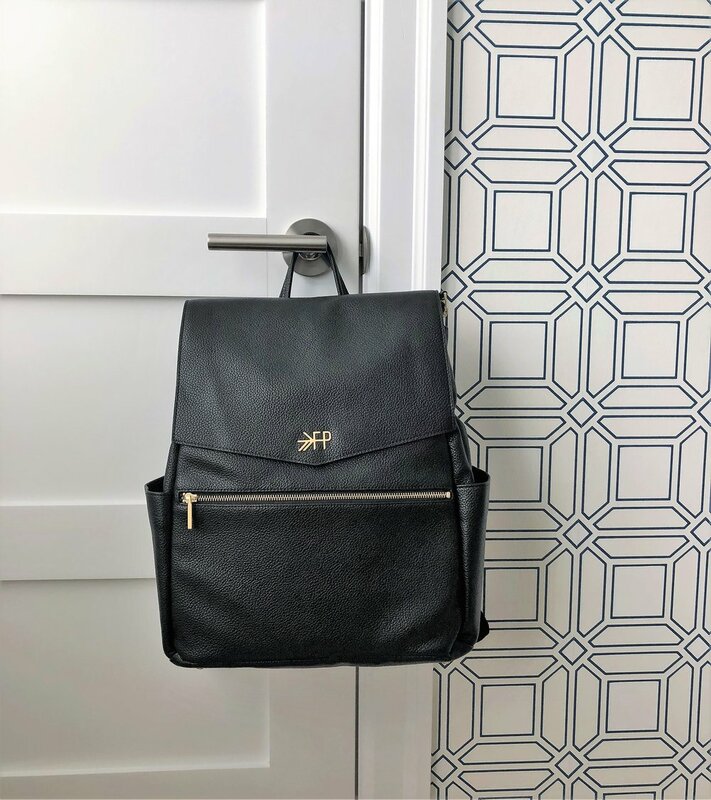 When it came to diaper bags, I knew I wanted a back pack. I also wanted one that was simple and didn’t look like a diaper bag, if that makes any sense. On one shopping trip to Nordstrom, I found and tried on this faux leather one by Freshly Picked. I didn’t immediately buy it mainly because of the price ($175) and I wanted to make sure to shop around first. After searching high and low, I decided that this was the one I wanted. It’s pretty spacious, has plenty of pockets and can be easily wiped clean. 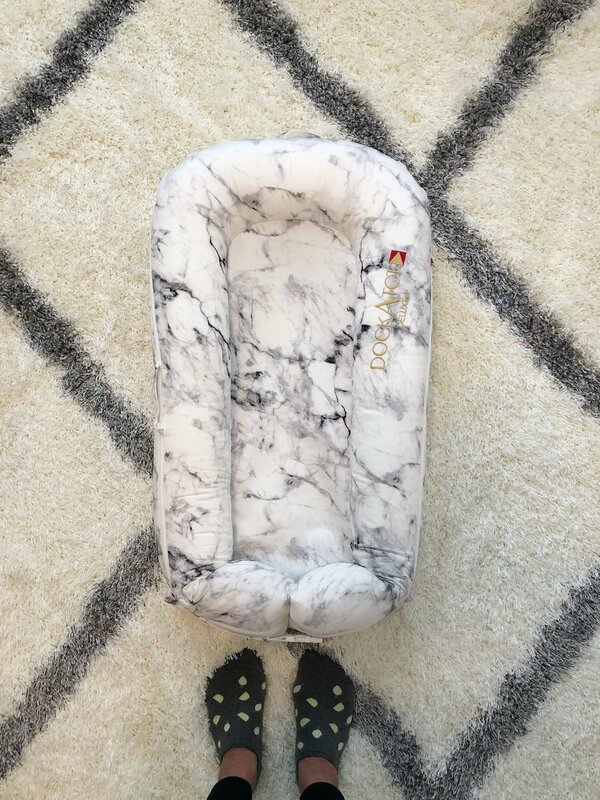 This bag is available at Buy Buy Baby and I was able to use a 20% coupon ($140)! When it came time to purchase a baby monitor, I completely deferred to Dan. 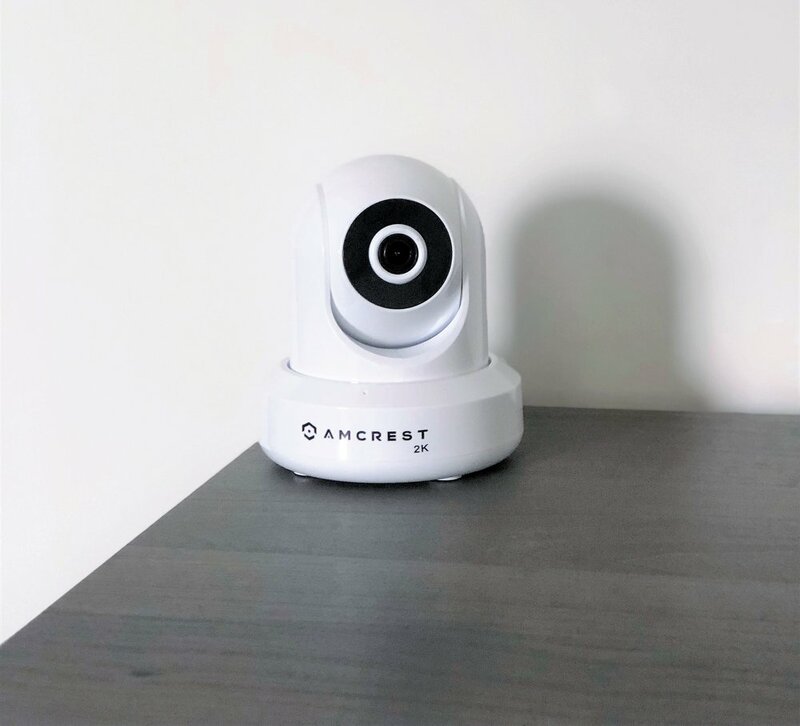 After much research, because that’s what he does with everything, he settled on the Amcrest 2K. With this monitor, we are able to connect it to our old iPhone via an app and view the footage from there. We recently tested it out and the image is very clear, even with the night vision. I’m sure there’s so much more I should be listing as a ‘pro’ but I’m not even sure I’ll get it right! If you have any questions, just let me know and I’ll get Dan to answer them :) I have to say, I do like the sleek and modern look of this monitor. While exploring Portsmouth, NH, Dan and I popped into a local shop and found this: Letters To My Grandchild. It’s a booklet of letters that that can be dated, gifted to the grandchild and opened on a certain date. Each letter starts with a question to prompt the grandparent to write the letter. We purchased this and cannot wait to see what the grandparents write to Baby Rubin! Through my reading, I learned of a recommendation to purchase sleeping gowns with an elastic bottom. This is supposed to be helpful when the baby is sleeping for quick changes. However, some have said that with the elastic bottom, the gown tends to ride up while the baby is sleeping. After some research, I came across Kate Quinn Organics. All items are 100% organic cotton (so soft!) and made in the cutest prints. I ended up purchasing a couple of the knotted gowns, a blanket and hat. Keep an eye out on the website for sales (my entire purchase was 40% off!). There was a lot of debate between Dan and I when it came to the stroller. I wanted the UPPAbaby and for Dan, the Citi Mini was a contender. After much debate (and a conversation with a stranger at Buy Buy Baby) we ultimately went with the UPPAbaby Cruz. A big advantage of us going with the UPPAbaby is that my sister in law has one. My niece has outgrown her stroller so my SIL loaned us the car seat, two car bases and the bassinet stand. So that definitely saved us some $$. We went with the Cruz over the Vista because it’s lighter and not knowing how big our first will be by the time we have a second, the Vista might not work for us in the long run. My parents were very generous and gifted us this stroller. Ours came from Nordstrom but this color, Emmett Green, is no longer available. I have linked to it at Buy Buy Baby. I am not a huge fan of stuffed animals but I couldn’t pass up this knit bunny by Meri Meri on Rue La La. This little guys is made of organic cotton and fits perfectly with the color scheme we are going with in the nursery. Meri Meri has a whole line of knitted toys that are all very darling - I kinda want them all!